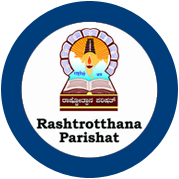 Rashtrotthana Parishat is a Public Charitable Voluntary Organization in Bangalore, Karnataka registered in 1965, under the Societies Act. The service activities of the Parishat have greatly influenced the society during the last five decades. The three-fold Objective of Janajagruti (Spreading Cultural Awareness), Janaseva (Social Service) and Janashikshana (Mass Education) has been the guiding spirit of the Parishat and its activities. The activities of the Parishat always receive good support from the public. OUR MISSION – To reach the unreached; our aim is to spread cultural awareness through social service and mass education. Rural development through Bharatheeya ethos.